The stars were out last Thursday evening. These were not just the constellations visible on a clear night. They also included nearly 100 Dublin Unified School District (DUSD) students that were being honored at the new Dublin High School Student Union for their persistent contributions towards fostering positive characteristics to their respective school sites. It was a night of recognition and celebration and OneDublin.org was pleased to report on this positive event. 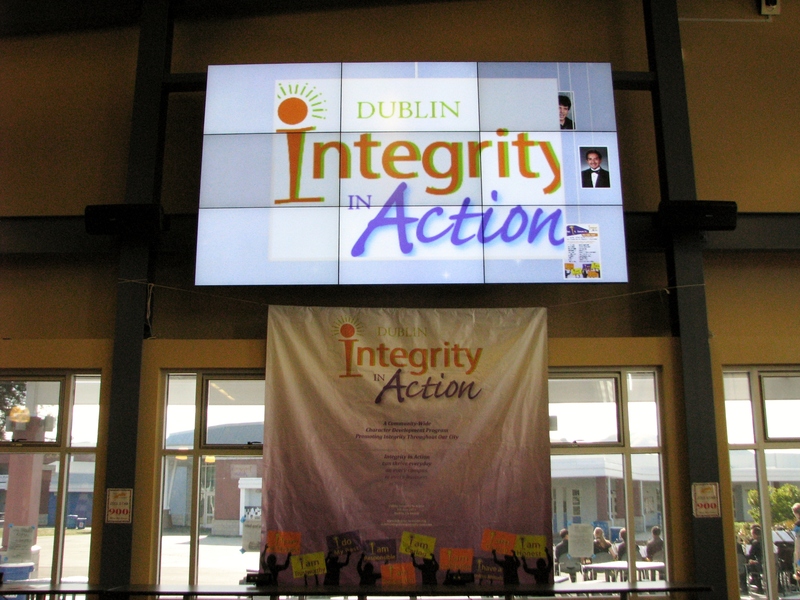 Established in 2006, the Dublin Integrity in Action movement was formed by a collaboration between the City of Dublin and the Dublin Unified School District. The premise was that the development of a young citizen should not be confined solely to academics. Rather, the “whole child” should also embrace character traits that would positively impact not only themselves, but to their community, as well. The traits are specific. They include being: Respectful, Responsible, Caring, Giving, a Positive Attitude, Trustworthy, Cooperative, to do My Best, Honesty and Self-Discipline. While these are high standards, scores of our students exhibit these characteristics each and every day. The awards ceremony has held in the recently completed Dublin High School Student Union. Awardees and their families were invited to enjoy a dessert array and refreshments provided by the Dublin High School Culinary Arts and Catering Program. Subsequently, representatives from the school district offered their greetings for the event. Notably, Greg Clark, a former San Francisco 49er player and Founding Member of Dublin Integrity in Action offered a stirring anecdote about the importance of following one’s dreams and to never give up – regardless of any obstacles or physical limitation. OneDublin.org reached out to two individuals that were instrumental in enlarging this event. 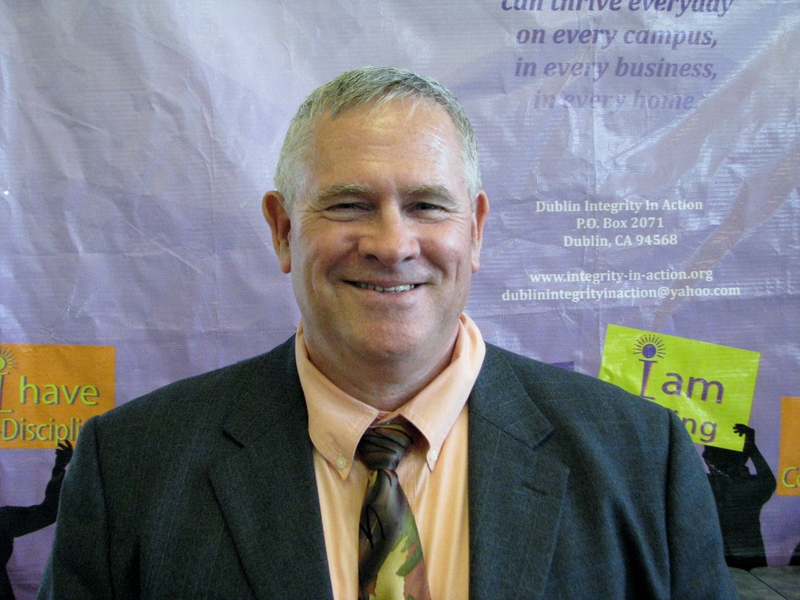 Alan Brown is the current Chairperson of the Dublin Integrity in Action Board. Mr. Brown’s son, Aslan, graduated from Dublin High School in 2011. Alan has also served in multiple capacities n support of DUSD. He shared some of his thoughts that evening. OneDublin.org: Thursday was the First Annual Recognition ceremony at DHS. Explain why it was important to move this event into a larger/public setting. OneDublin.org: The term “character” was mentioned repeatedly tonight. How do you expect these recipients to demonstrate this trait, not only today, but for years to come? How might they influence their peers? 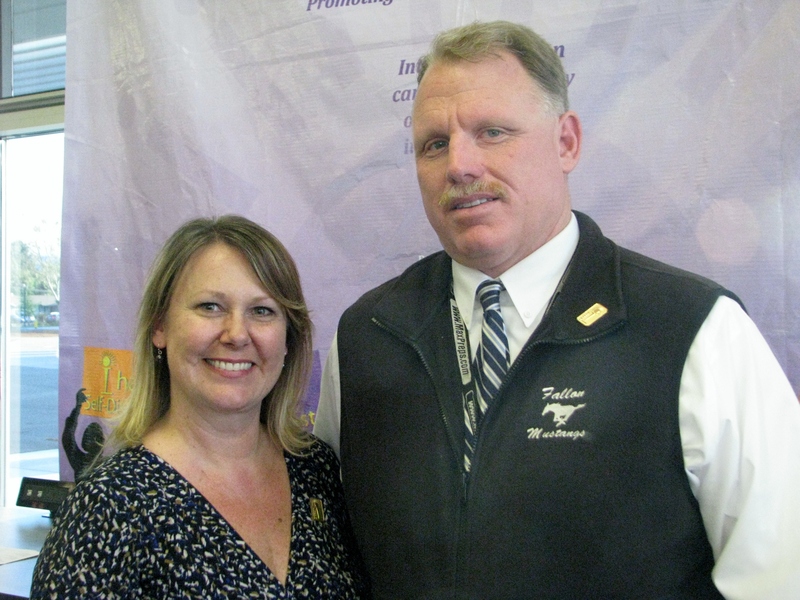 Fallon Middle School Counselor, Kelly Zummo, also serves on the DIIA board in the role of Character Development. She has served as a middle school counselor for 16 years and has been employed by DUSD since 2006. Our initial invitation to cover this event was offered by her and we wanted to hear her perspective on this initiative. OneDublin.org: Please describe why it is important for our school district to support a program like Dublin Integrity in Action. Kelly Zummo: “It is important because Dublin is a great place to live, work and to raise our children and we want to keep it that way. A comprehensive program affects our school district as a whole, adding the student recognition piece was just natural. The DIIA community-wide character development program gets us all on the same page and additionally supports the district vision of the 2020 strategic plan. OneDublin.org: For the students that received this honor tonight, how do you expect them to influence their peers – regardless of grade level? OneDublin.org: Explain how more Dublin citizens can become more involved in this movement. OneDublin.org commends the efforts by both Dublin Integrity in Action and DUSD for supporting the Integrity in Action program. 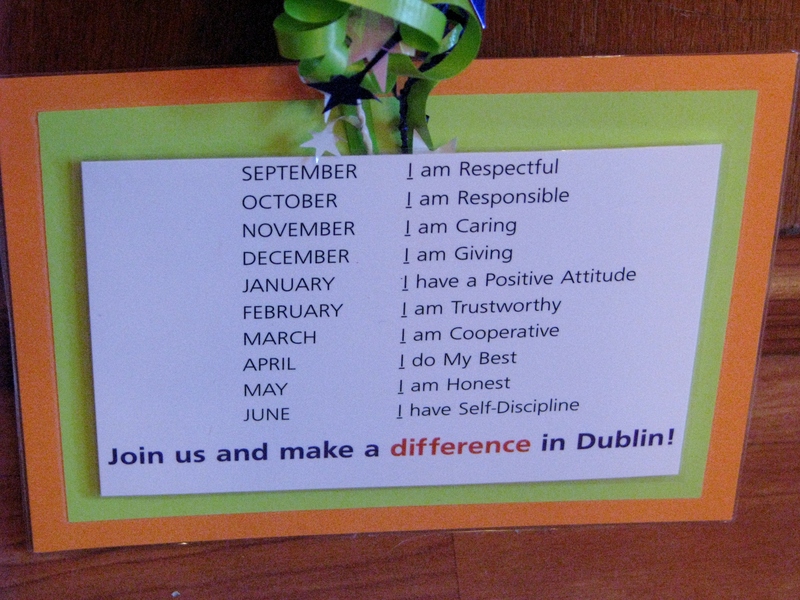 The Stars of Integrity are shining brightly across the city of Dublin. They are adding positive characteristics to our community every day. The event program is available here.